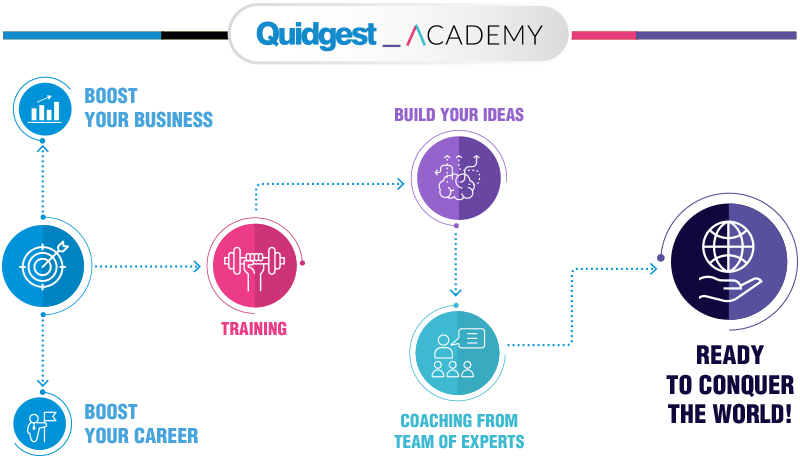 Quidgest_Academy is an innovative training project that shares the benefits of software development using the most advanced modeling and automatic code generation platform – Genio. In an increasingly technological world, the IT market is no longer exclusive for programmers. With this incredible training, software development is available to a wide range of new talents. Only basic logic mindset and business knowledge are required.